(August 6th, 2015) With all of the movie and film projects taking place in Buffalo this is a great way for anybody to become a part of the local film scene. The 48 Hour Film Project, the world’s largest timed filmmaking competition, is returning to Buffalo on August 7th-9th, 2015. Teams will race to produce short films from start to finish over the course of one weekend using quick-witted creativity, helter-skelter innovation and gallons of caffeine. This speed-based filmmaking contest has become a rite of passage for filmmakers, crew and actors. 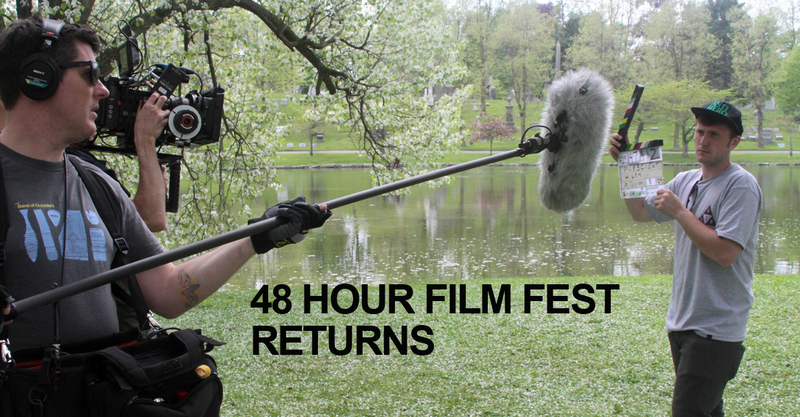 The 48HFP is open to all – professionals, aspiring filmmakers and actors, and those who want to give it a try in a short, structured and exciting way. The contest is part of a global competition in which teams compete for the chance to win a $5,000 grand prize and the opportunity to take their film to Hollywood and to screen at the Cannes International Film Festival’s Short Film Corner in 2016. But things are a little different for Buffalo this year. Buffalo has been chosen as 1 of 12 cities who’s city winners will not only go on to compete at Filmapalooza against 130 other cities from around the world but will also compete at the ITVFest in Vermont against only 11 other cities. The winner of the ITVFest goes on to screen at the 2016 Cannes Film Festival. Here’s how it works: On Friday, August 7th, each team will draw a movie genre from a hat. They will also be assigned a character, prop, and line of dialogue that must be incorporated into their film. The teams then have 48 hours to write, direct and shoot their film, which must be submitted on Sunday, August 9th at 7:30pm on the dot. The films will then all screen at the beautiful North Park Theatre on mornings of August 15th and 16th . The Buffalo 48HFP winners receive national prizes of Movie Magic Screenwriting Software and Pond5 gift certificates.